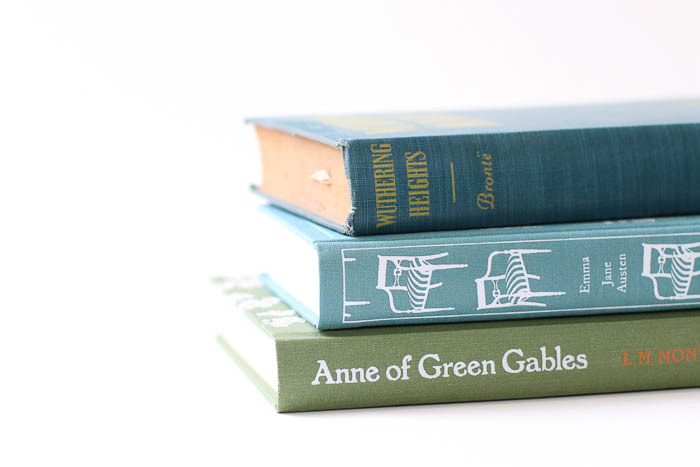 In Book Lists, Books & Reading, Jane Austen. Does every reader have a bookish category they can’t resist? 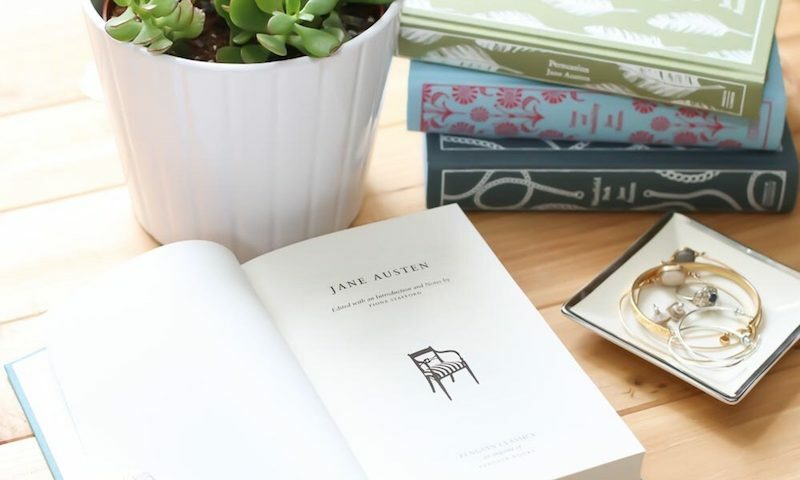 I’d like to think so, and I definitely know my weakness: I’m a sucker for a good retelling, especially if Jane Austen is involved. Some are good, some are dreadful, but I can’t resist trying. And even if the book isn’t great, I do appreciate the safety net a retelling offers: when an author reinterprets a classic, I get to enjoy the story on the page and puzzle out the author’s modern character and plot choices. The puzzling rarely lets me down, even if the story does. In an odd bit of readerly timing, I recently read three Pride and Prejudice retellings back to back. (The first two were coincidental, and then I decided I might as well go for the trifecta.) Despite sharing a similar template, each book felt unique, in part because each had a completely different setting and prose style. It made for a fascinating book flight, but you don’t need to read all these books to get in on the fun. Have you read any of these? 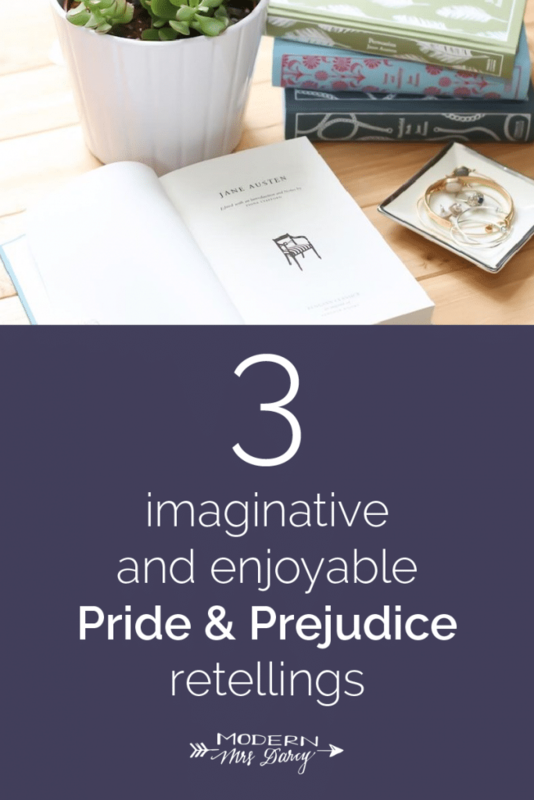 What are your favorite Pride and Prejudice retellings? P.S. If you’d like to peruse more book flight options, this is a great list. And if you’d like to add more Jane Austen retellings to your TBR, I share seven interesting options here. I enjoyed Unequal Affections, which you recommended. I listened to it and now plan to read it. I have found that most “retellings” are terrible! I haven’t heard of any of these! UNMARRIAGEABLE sounds good! I also love the FITZWILLIAM DARCY, GENTLEMAN series retelling by Pamela Aidan. Book #2 is a little different — a touch of the Gothic in there — but Book #1 and #3 stick to the original P&P storyline, but told through Darcy’s point of view. Aidan really captures Austen’s writing style. A NOVEL OF FITZWILLIAM DARCY, GENTLEMAN: (trilogy) VERY WELL WRITTEN! If you’re having a yen for Jane Austen, read this trilogy!! I try to read them once a year! Yay, Melinda! Another Pamela Aidan fan! I was blown away by how great her Darcy books were. I think these were one of the first retellings of P&P that I experienced, and while I’ve read countless others over the years, this trilogy remains as one of my favorites. So great that you reread them each year!! Yes, I love Pamela Aidan’s Darcy trilogy!! No talk of decorating with Poinsettia BERRIES there. I haven’t read and Austin works but I though Jasper Fforde’s Thursday Next series was a hoot. Check out “The Eyre Affair”. Darcy and the Wicked Waltz by Jane Grix is a ridiculous Pride and Prejudice variation — that said, it made me laugh! It is sort of a soap opera version of Pride and Prejudice — Darcy has amnesia and Mrs. Bennet thinks he is the dancing master she hired. Something about Darcy believing he is a dancing master provided some good laughs. It veers very, very far afield of Jane Austen, so you would probably need to be in the mood for something extremely light and silly. I read it after finishing War and Peace, so maybe that is why I enjoyed it. I am with you! I always try them. Thanks for these versions; I haven’t seen them. I did recently find one for Christmas- Pride and Prejudice and Mistletoe by Melissa De La Cruz. I haven’t started it yet, but it’s next on my list! Let us know if it’s worth finishing. 25 pages in, and the careless writing is driving me nuts. I read this one around Christmas last year, and while I liked the concept, the writing style drove me up the wall. I finished it but only because it was short and I liked the idea. If the writing is really bothering you, I would put it down because it doesn’t get better. I just finished Pride and Prejudice and Mistletoe and wasn’t a big fan of it. It really tried hard to stick to the original story, but just didn’t work well. Too bad, because the premise was interesting. Claire – I agree with you! I liked the premise, but overall the book was not very well written. I also finished it because it was short and I liked the concept. For a frame of reference, this author is also the creator of The Descendents – a Disney film based around the offspring of Disney/classic children’s story characters. I think that may be more the author’s wheelhouse. Thank you, all, for the advice. I’m abandoning it. Life is way too short for sketchy writing. I agree – I finished it (weekend away, didn’t pack enough books) but hated it. These all sound fantastic! I’d heard of a couple of them but not the dragon one… could be fun, and very different! I’m due for a re-read of P&P this next year (I can’t believe how long it’s been since I read it last!) 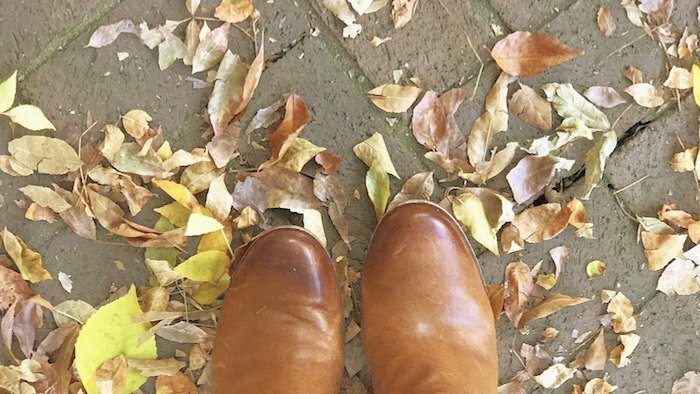 and it would be a great time to work in some of these retellings. I’m a huge sucker for retellings of any classic stories and don’t usually mind many liberties being taken with the story as long as it’s well-written. I loved Eligible (which was very divisive, I know) and really enjoyed the web series The Lizzy Bennett Diaries (and Emma Approved also… a modernized retelling of Emma). A couple of my favorite re-imaginings of another classic, Jane Eyre, are Jane Steele (which is so meta and amazingly reworked… fantastic) and Mr. Rochester. 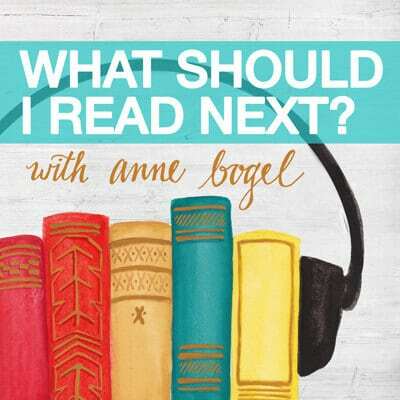 Can’t get enough of retellings so I’m glad you like them too, Anne! More fodder for my reading life! I’m not much of a fantasy/dragon reader myself, but I have a daughter that might love that first title. Headed to my library site now to see if they have Unmarriageable listed yet. My thing is Shakespeare,so when I find a modern retelling of a favorite play,I have to give it a try. Think “The Weird Sisters” for Macbeth, or Atwood’s “Hag-Seed” for The Tempest. The Weird Sisters was very good. Thanks for recommending these books, Anne. I *loved* Pride and Prejudice and Zombies. Darcy and Elizabeth’s first proposal scene made me literally LOL. Oh, I don’t even remember that scene! Haha. 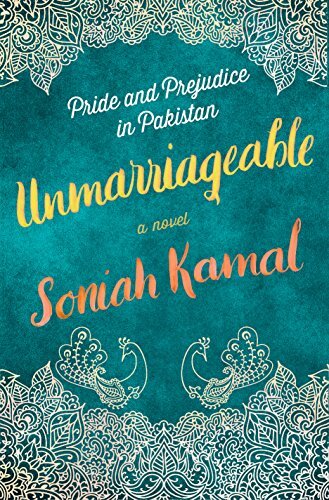 Pride & Unmarriageable are both on my TBR lists. I’m such a sucker for a retelling. Eligible by Curtis Sittenfeld is still my favorite, though I know it’s controversial. If you are looking for a good Persuasion retelling, By the Book by Julia Sonneborn was great. 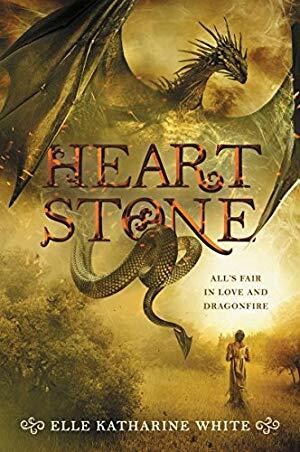 Is Heartstone a stand-alone retelling? I see it is part of a trilogy. I’m currently reading The Lost Memoirs of Jane Austen by Syrie James. It’s not a retelling of an Austen novel, but a fictional account of what happened after Jane’s father passes away, based on writings by Jane found in a hidden trunk centuries later (also fictional, but imagine if it WERE true!). I’m only a quarter ways in, but so far very much enjoying it. I also really loved Syrie James’ novel Dracula, My Love a retelling of Dracula from a feminist perspective. I’m right there with you – ANY kind of adaptation or re-telling gets my motor running. I’m so excited to read Pride – and Unmarriageable sounds fantastic too, thank you for the heads up! I love all P&P retellings, and “sequels”, and books from Darcy’s point of view. I think I’ve read them all! But now I have 3 more to add to my list! Exciting! PS/ As an aside to my comment above, another current book in the realm of Jane Austen is a book called LONGBOURN by Jo Baker. A completely fresh take on Austen….utterly engrossing. In this irresistibly imagined below stairs answer to P & P, the servants take center stage, taking care of the Bennet household. But there is just as much romance, heartbreak, and intrigue downstairs at LONGBOURN as there is upstairs. The author takes us beyond the drawing rooms of Jane Austen’s classic into the gritty daily particulars faced by the lower classes in Regency England during the Napoleonic Wars. It’s captivating: a brilliantly imagined and lovingly told story about the wide world beyond the margins and outside the parlors of PRIDE & PREJUDICE. A very well-written book. Longbourn was absolutely luscious. Sort of like an upstairs/downstairs Downton-ish accompaniment to Pride and Prejudice! 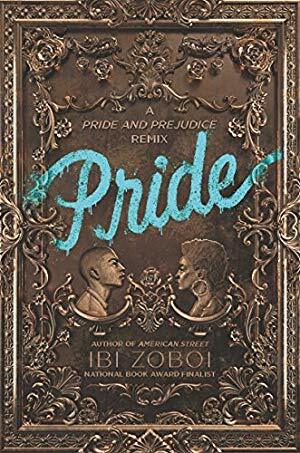 While it’s not a book, I really enjoyed this retelling of Pride and Prejudice – https://www.youtube.com/channel/UCXfbQAimgtbk4RAUHtIAUww. I remember watching it one video at a time as it came out a few years ago! I loved Longbourn as well and watched The Lizzie Bennet Diaries earlier this year. I think they ended up making a book out of the videos, but I could be wrong. It was a fun take on Pride & Prejudice! I loved Longbourn too! It actually got me into Jane Austen after years of just not being able to read her stuff. I don’t think Anne cared for it though…. 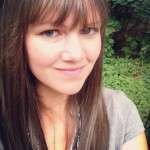 I went to school with the brother of the girl that wrote Heart Stone! It was recommended to me by a friend and she told me who wrote it! Have you read Ayesha at Last by Uzma Jalaluddin? It’s a P&P set in a Muslim community in suburban Toronto. When I was picking it up from my local bookseller this summer, they were telling me about Pride which was yet to be released. If you like the idea of Jane Austen with dragons, check out Tooth and Claw by Jo Walton. It’s not a retelling of any particular Austen novel, but it would definitely be at home on the same shelf (minus the dragons). As a bonus, you get to read Jo Walton, who is brilliant.